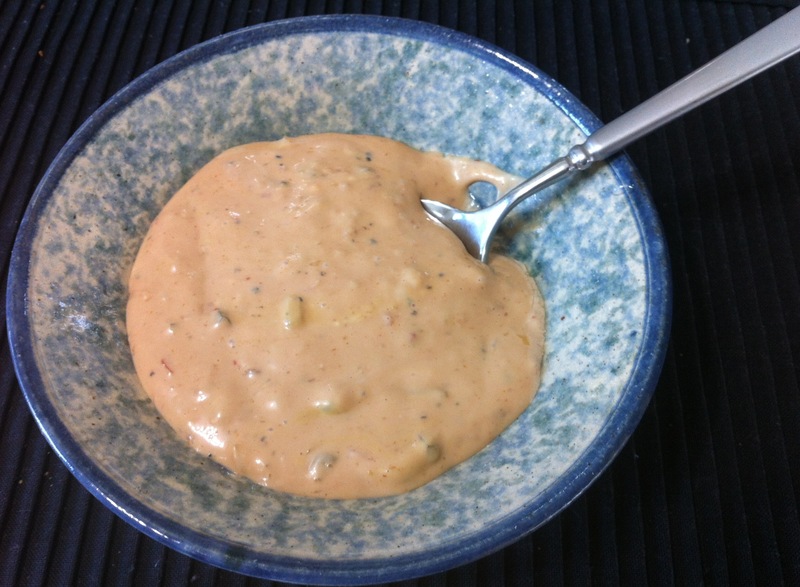 Try this tangy 1000 Island Dressing as an alternative to the highly processed stuff you’ll find in the grocery store. Make sure your ingredients have no high fructose corn syrup! Combine, stir well. Refrigerate. Can be consumed immediately but best after the flavors have had a chance to rub shoulders.